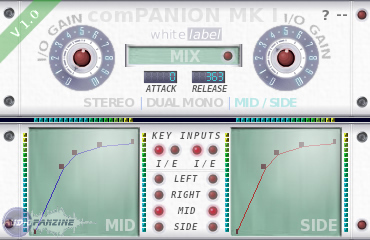 comPANION, Software compressor from whiteLABEL. 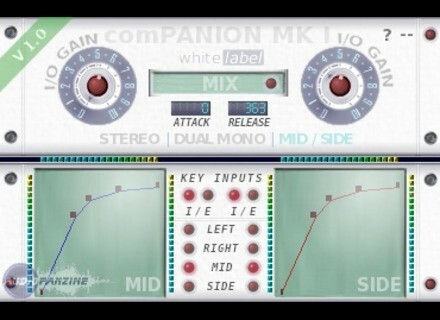 comPANION is a compressor / expander / dynamics tool with graphic envelopes. You can redraw the dynamic of your source by dragging on the screens to create the desired shape. Stereo, Dual Mono and Mid/Side operation. Input, Output and Gain meters. A free version that stops working for 5 seconds every 5 minutes is also available (the full version doesn't do this, obviously). WhiteLABEL monoLOW monoLOW is a "low band conformance machine". WhiteLABEL autoBED Updated To v1.2 autoBED has been updated to version 1.2.